Sterling, VA — Beltway Brewing Company, located in Sterling Virginia, has been a pillar in the craft brewing industry since opening in 2013 sharing its expertise, knowledge and resources with craft brewers to put their unique recipes in the hands of beer lovers. Beltway has recently partnered with Virginia Imports to distribute the Beltway brands of beer, including HOV Blonde Ale and Changing Lanes DIPA, throughout Northern Virginia. Virginia Imports will be making Batting 1000 available on local store shelves and restaurants in Northern Virginia beginning April 15th. Distribution in Maryland and Washington, D.C. will follow shortly afterward. Beltway was aiming for something different with this 1,000th brew but wanted to still keep that familiar traditional feel to it. Batting 1000 was the answer. The incredibly unique blend of an Irish Red with the added lager twist will make this beer appeal to a broader beer audience. This is a beer that will make you stand up and cheer, or work through the seventh inning stretch. 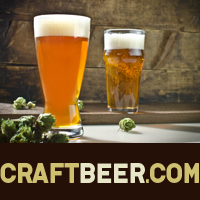 Beltway Brewing Company has been the trusted partner of craft brewers since 2013. They have built a facility that is clinical and exacting in order to produce the high-quality beers discerning clientele demand. Beltway’s state-of-the-art brewing facility and in-house dedicated team of professionals committed to recipe development, production, design, compliance, and distribution have contributed to Beltway’s outstanding reputation in the industry. The company also offers flexible brew lengths, custom packaging options, and distribution options which have allowed its facility to bring a variety of flavorful blends to beer enthusiasts across the country. The tap room at Beltway showcases a variety of craft beers that are brewed on site. Many of these beers were created by craft brewers around the country—making Beltway’s tap room the only local place to enjoy them. As a result, the tap list is always changing, but rest assured the core Beltway brands of beer are always available. The post Beltway Brewing Company Announces 1,000th Brew! appeared first on CraftBeer.com.